The year is almost over. Thus, time to review photographically the last year or half year, respectively. Why not by participating at the “Fotoparde”, because every half year Michael from Erkunde die Welt asks all bloggers at his “Fotoparade” to show their best travel photos of the last six months. Of course, I’m more than happy to participate again. For me it is the second time that I participate in the “Fotoparade”. My first “Fotoparade” was dominated by my journey to Brazil and all the monkeys I had seen there. In the second half year of 2018 I did not participate in any long journey. Thus, in this “Fotoparade” I will show photographs that I have taken in the second half year on different short trips. The rule is: at least 6 photographs, but the categories can be changed. As I cannot contribute any photograph to the category “Abstract”, I changed this category to “Silhouette”. And instead of “Red” I take “Blue” as a category. I took this photograph of a peafowl on the small island “Pfaueninsel” close to Berlin. As I needed to escape the rush of Berlin on a beautiful sunny day at the end of June (only two days left to July, thus, I count this day to the second half year), I spontaneously decided to take the train to the Wannsee. From there I took the ferry across the Havel to reach the Pfaueninsel. The Pfaueninsel is an island with an area of about 67 hectares. By the way, the Pfaueninsel is protected by nature protection legislation and belongs to the Unesco World Heritage. The name of the Pfaueninsel (Pfau – peafowl, Insel – island) can be attributed to the free-living peafowls that live on this small island. Of course, I met quite many peafowls on the Pfaueninsel on my walk where I took this photograph of a peafowl. 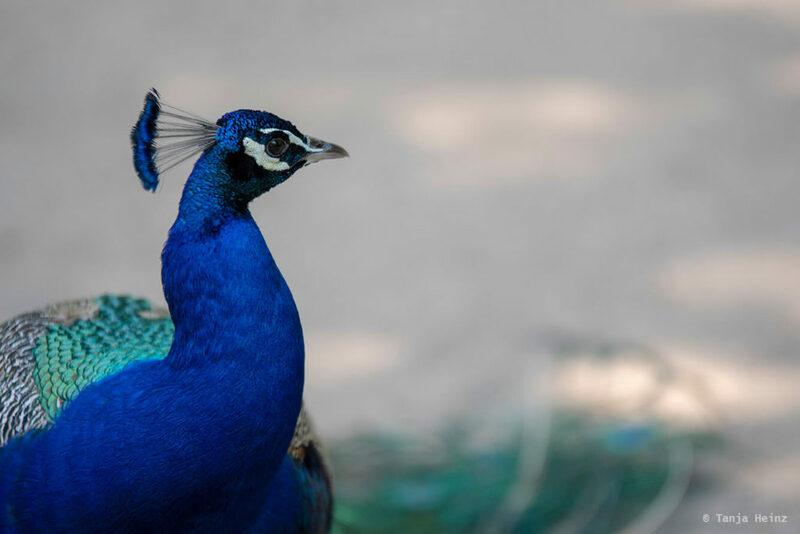 No peafowl raised its feathers into a fan on this day, but nevertheless, the colors of the peafowls – especially their deep blue color – were quite impressing for me. Because of this deep blue color I assigned this photograph to the category “Blue”. In the middle of October I went to the German Baltic Sea (Ostsee) for two days. To be more precisely, to Zingst. I decided to go to Zingst in October, as autumn is an especially good time to observe cranes on this peninsular. I have to admit that it was the first time for me to see the Baltic Sea. I had traveled already to Australia, South Africa or Brazil. But I had NEVER been to the Baltic Sea before. All the more I was enthusiastic to see the region and its nature. 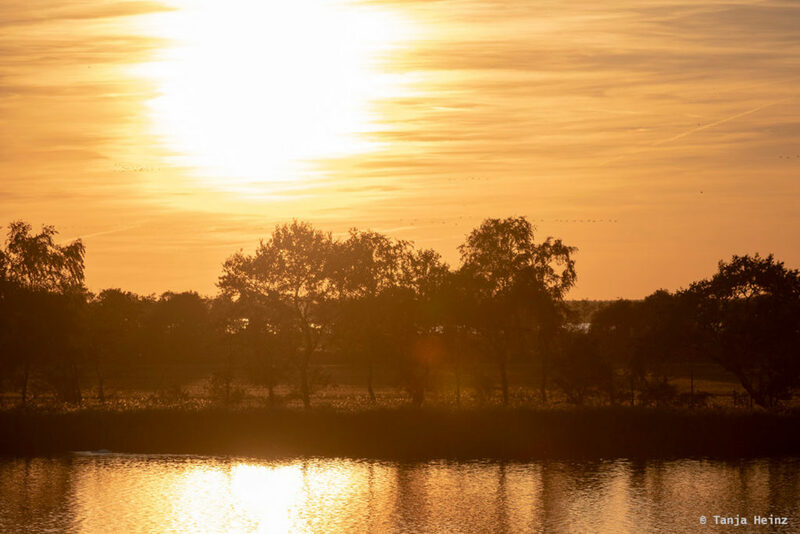 On one evening I participated on a boat tour at sunset in order to observe the cranes flying back to their sleeping places. We were so lucky with respect to the weather and the sunset was just incredible. Therefore, I put the sunset in Zingst into the category “Totally amazing”. I took a photograph again from Zingst into the category “Silhouette”. I took this photograph as well on the boat during sunset, but this time from the cranes. 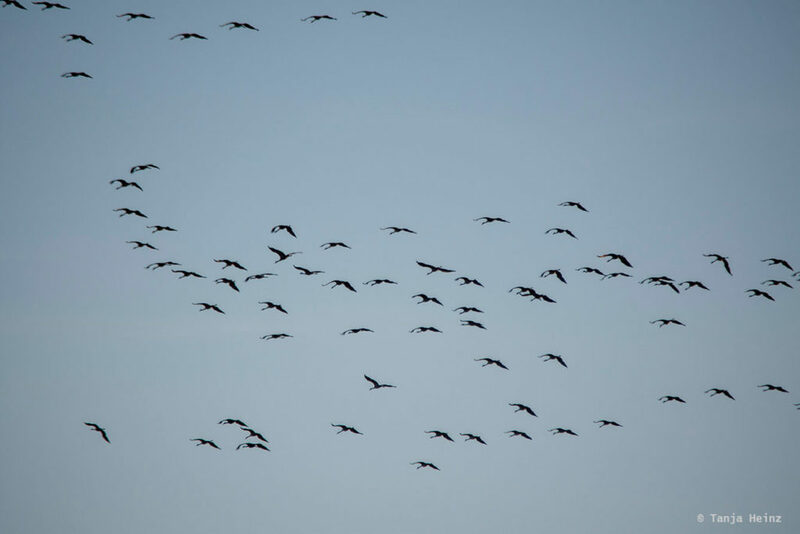 Sometimes the cranes passed by in a V-shaped flight formation which is very typical for cranes. However, sometimes they did not stick to this V formation all the time like on this photograph. I took this photograph during sunset, as already mentioned, when the cranes were flying to their sleeping places. For me it was an overwhelming natural spectacle which I will never forget. Next autumn I plan to visit the cranes again. I have already an idea to which place I will travel next season to observe the cranes. For the category “Landscape” I could not decide between two photographs as I went both to the North and and to the South within Germany in the second half year. Both regions are so different and they could not be more contrasting. On one side there was the flat peninsular Fischland-Darß-Zingst at the Baltic Sea in the North. And on the other side the mountainous Berchtesgadener Land in Bavaria. I got quite different photographs when comparing them both. 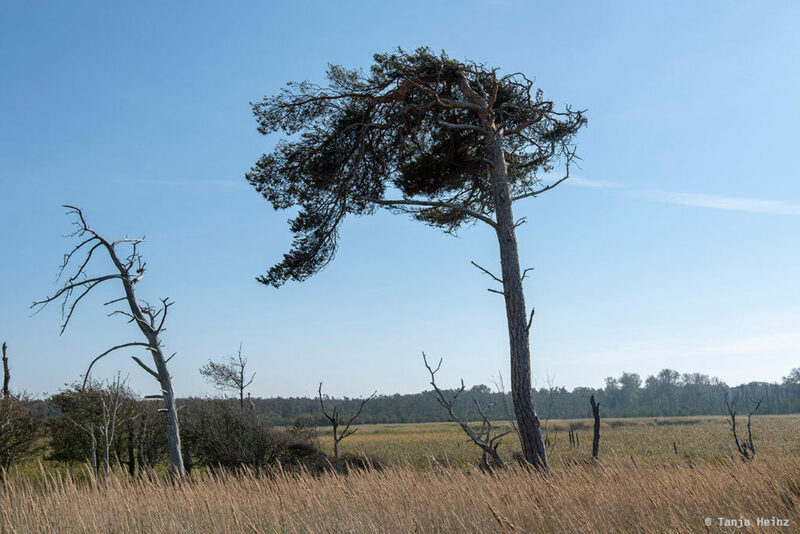 On the peninsular at the Baltic Sea I became aware of very special trees which are also known as wind dodgers. Because of strong winds, these trees grow into the opposite direction. You can also say that they “escape from the wind”. On the contrary, the landscapes in the Berchtesgadener Land are determined by the mountains. On my hike to the marmots I took some rest from time to time in order to admire calmly the landscapes. 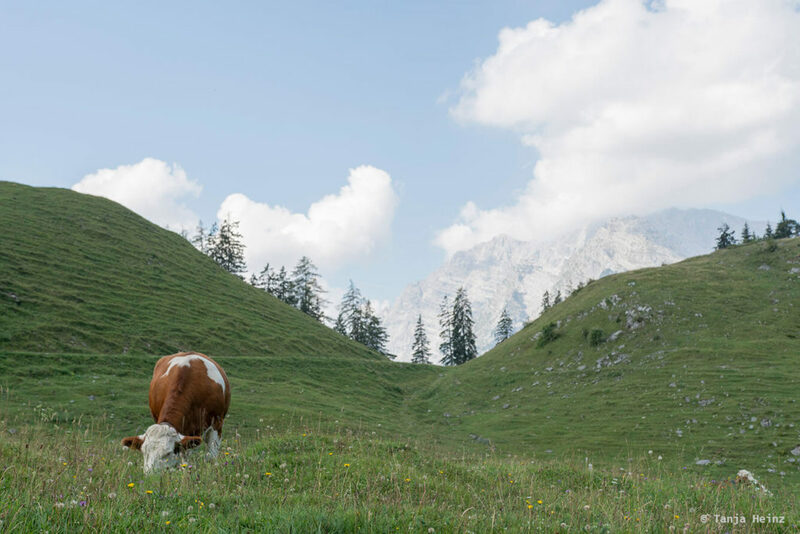 When I spotted a grazing cow, I took a photograph of it together with the mountains in the background. I got a great view in the mountains of the Berchtesgadener Land onto the Königssee. Unfortunately, I had not enough time on my day trip to visit the Königssee. Nevertheless, I got a great view of the Königssee from above. 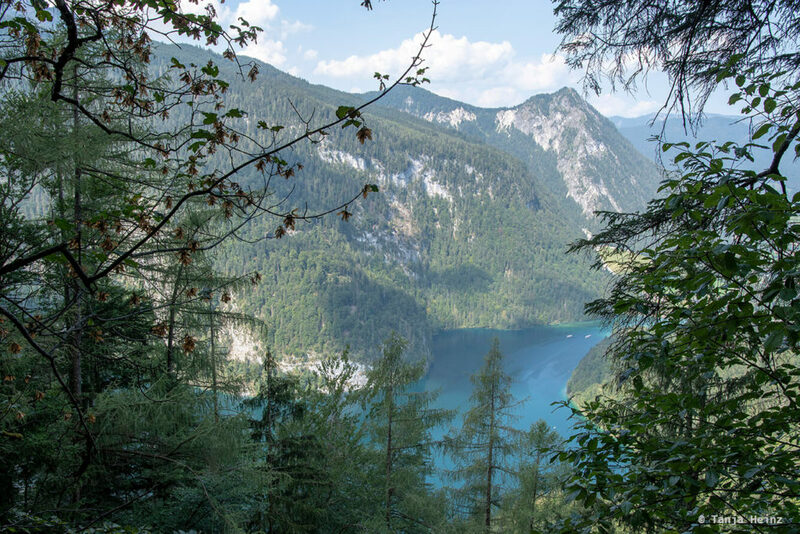 With certainty, there are more beautiful places in the Berchtesgadener Land where you get a better view onto the Königssee. Anyway, I very enjoyed this view onto the Königssee and its beautiful green blue water which was very astonishing for me. Therefore, I take the view onto the Königssee into the category “View”. As already mentioned, I was searching for marmots on my hike in the Berchtesgadener Land. On one beautiful sunny day in August I walked up to the Königsbachalm in the Berchtesgadener Land, because I had heard that close to the Königsbachalm live marmots. I got the advice from several people to hike to the Königsbachalm as early as possible as the marmots will draw back during the morning. Firstly, because they do not like the heat, and secondly, they are shy animals and do not enjoy many hikers around them. Although I was at the Königsbachalm quite early, the marmots did not really show up at the beginning. Only around 9 a.m. they started to leave their secure den. There were few hikers around and I observed them and some cyclists only from afar. Although it was calm on this morning and the air was quite fresh, the marmots hid in their dens at the beginning and only later when the air was warmer they appeared. 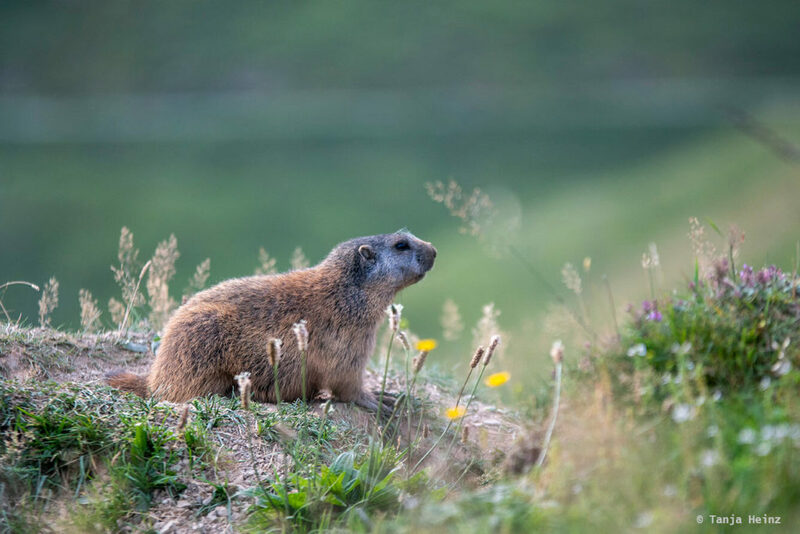 Then, one of the marmots sat down in the meadow observing the surroundings. As I kept my distance to this marmoset, it did not vanish again. As marmots are very photogenic according to my opinion, I decided to take one photograph of a marmot as my best photo. 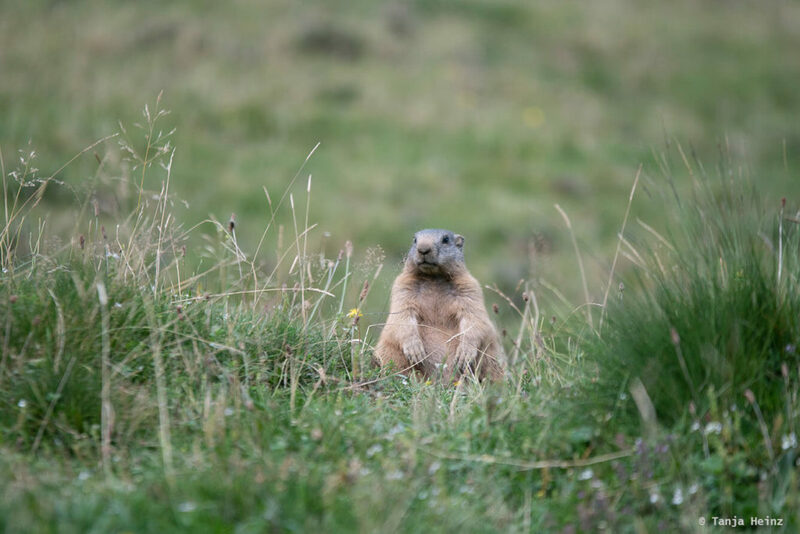 When one marmot was bathing in the sun, I tried to sit down in the meadow as inconspicuously as possible. The marmot remained in this position for several minutes. I did not want to disturb it and I tried not to move. It was very calm. Only me and the marmot in that moment. The only noise came from my camera. Thus, I decided to put away my camera after some photos and I just enjoyed the moment with the marmot. As much as I enjoy taking a photograph, sometimes it could be disturbing. I would have enjoyed to take a close-up of the marmot, but the focal length of my lens were not long enough and I would have scared away the marmot if I would have approached. Thus, I decided to put away my camera after some photos and enjoyed the warming sun like the marmot. At this point I want to say thank you to Michael from Erkunde die Welt, because I imagine it is a lot of work to read all the blog posts of all the people who participate in the “Fotoparade”. And I also assume that it is not an easy task to select the best photos. 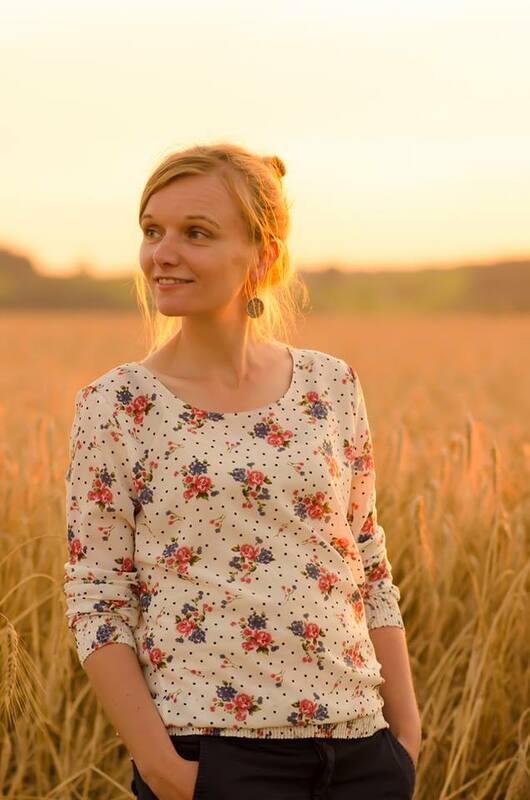 For me it is also a great way to get to know and explore more travel blogs. 52. Biene and Tobi from als nuff!